I had 28 people participate in the questionnaire. 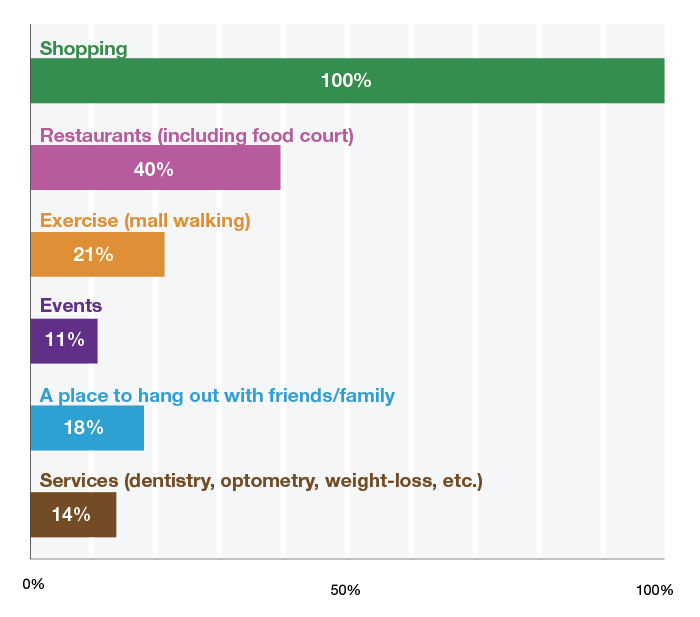 Here are the interesting results. 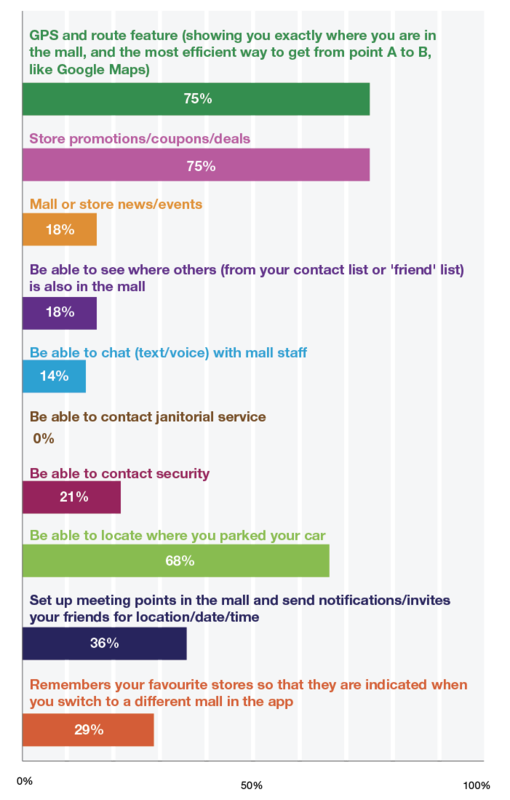 What are your reasons for going to the mall? 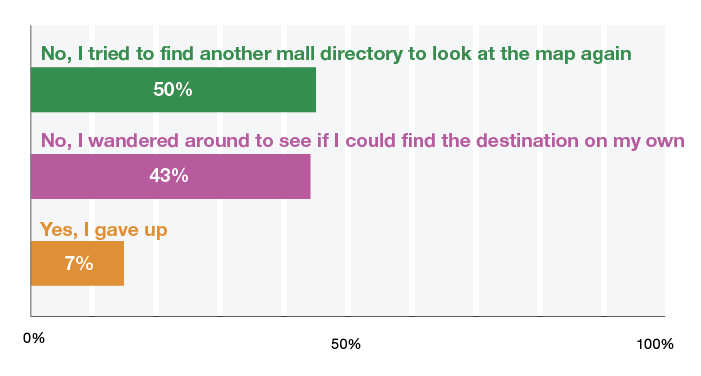 In the shopping mall, what are the reasons you used the mall’s directory map for? 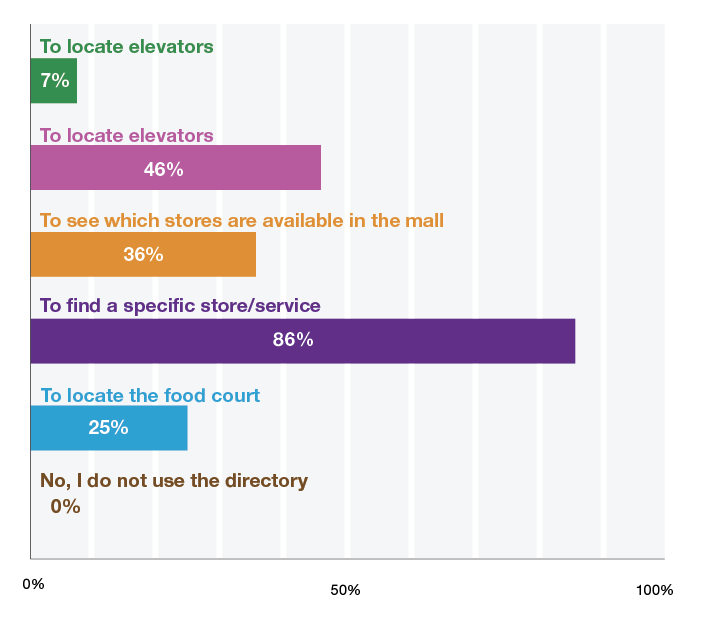 What do you think of conventional printed mall directories? 6. 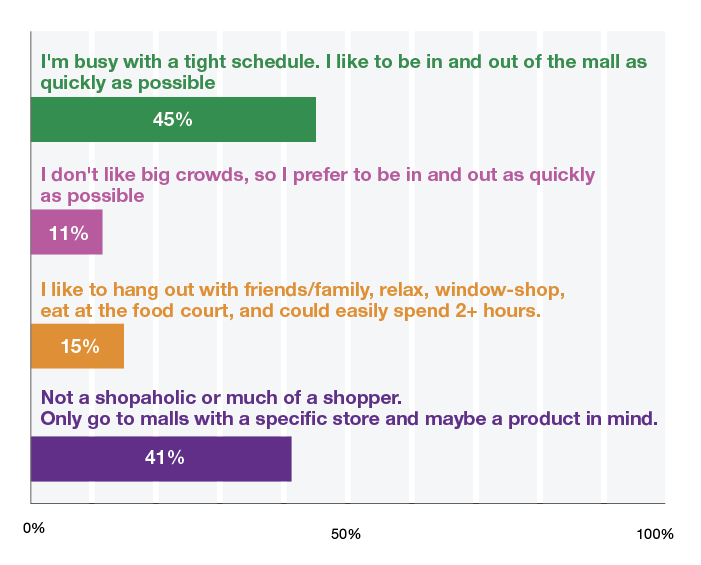 When at the mall, which describes you the best? 7. 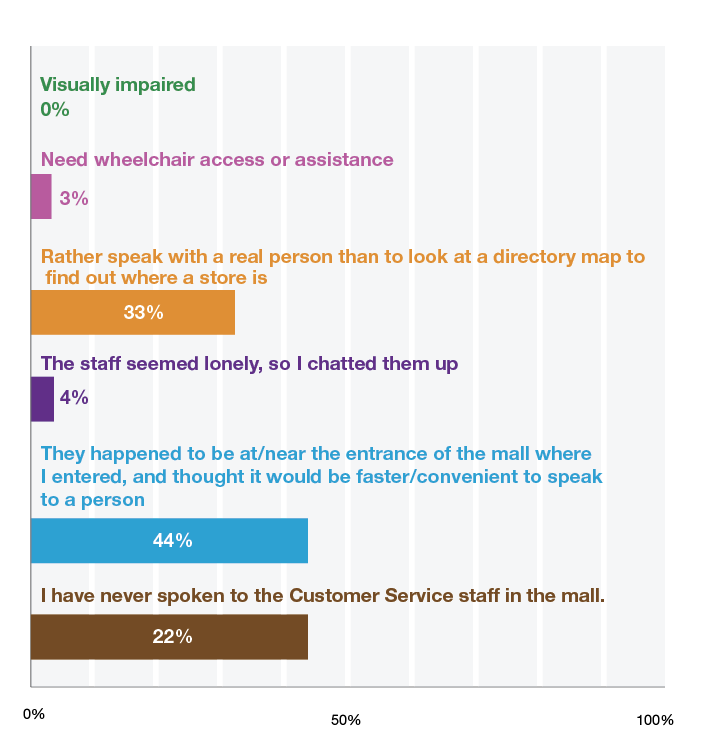 If you’ve ever looked for, preferred or had the opportunity to speak to a person at the Customer Service desk in the mall, what were the reasons? 8. After finding a directory, then trying to find the destination, have you ever given up when you were unsuccessful in finding the destination? 9. 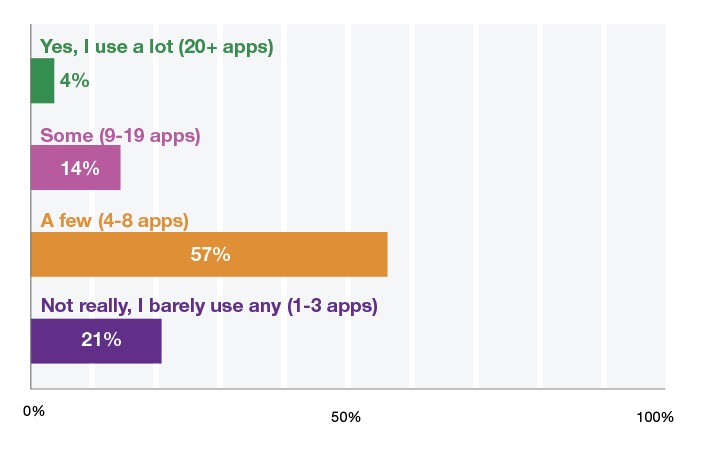 Do you use apps on a DAILY basis? 10. 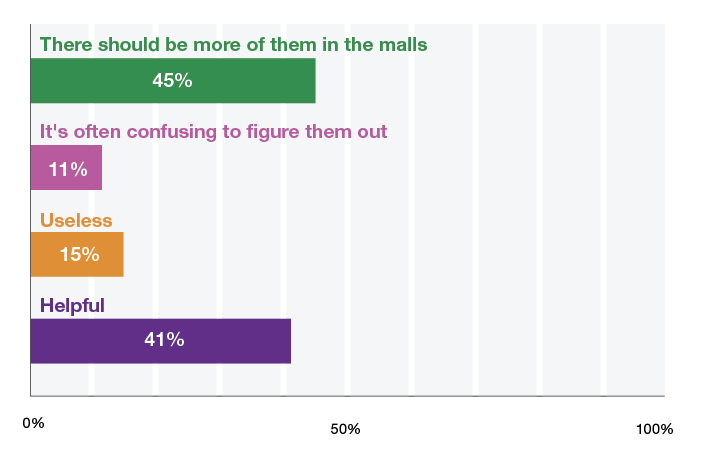 If there was a Mall app, which features would you look for?